I feel that nowadays the only thing I really do is post about MMORPGs when I talk about anything gaming, but holy moly do they stand out to me. MMORPGs have been a massive part of my entire life and have taught me so many things about what I know in gaming today. Whether it be from economics and values versus morals and psychological effects through communication and teamplay, there are a lot of things to be learned. So for this time around, I will be covering a game that I have been sufficiently addicted to for just around a week now. 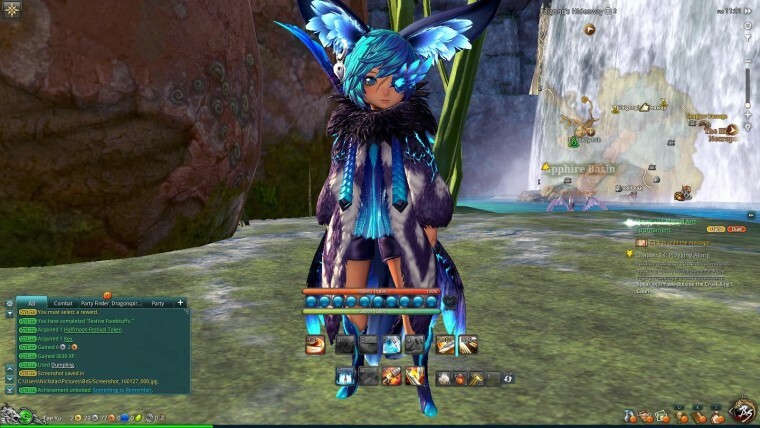 That game being Blade & Soul. Now this is the game that I briefly covered in a super short review and honorable mentions to in my last blog post, Nick's Top 5 Time Wasters: MMORPG, but I felt that I have played this game enough that I absolutely needed to make a follow-up to this. Now I've been playing MMORPGs for a very long time now. I first started in 2001, so I can say that I've played for quite a while at this point. I've seen the MMORPG formula redone several times over, seeing every single rendition and different playstyles. I have played 2D platformers, 3D point and click, 3D fantasy adventure, text based crawlers... I have played them all. 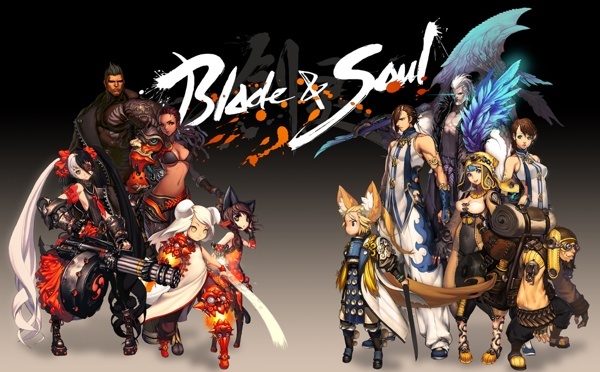 And for the first time in a very long time, Blade & Soul has broken the mold for me and captured my interest again in this genre in a whole new way. Blade & Soul offers such a fast paced action environment that I don't have the time to be able to sit back and hit my 1-3 keys every couple seconds to cast fireball or shadow bolt. Rather I'm constantly moving my character, prepping my .5 second parry window on enemy attacks, and coordinating all of my offensive crowd control moves with the other members of my group to take down a boss that will otherwise kill us if their ultimate ability goes off. This game feels more like an action game played with a thousand other people than it does feel like an MMO, and it feels absolutely incredible. There is practically no downtime, the abilities are well balanced and you can just FEEL the weight behind them when you land a full combo, the world is beautiful, the story is good, and it's FREE TO PLAY. All of this is absolutely unheard of when I think of a Free to Play game, but their cash shop/premium subscription is literally for a small boost in experience and cosmetic items. I currently main a Lyn Blade Dancer! Hit level 45 on the 28th of January. Overall it's an incredible game and I encourage a lot of people to give it a try. If you can get past the queue times for getting into the game (which nowadays the queue times are not even a problem and I get in instantly at all times during the day on Poharan), then you will have a blast!